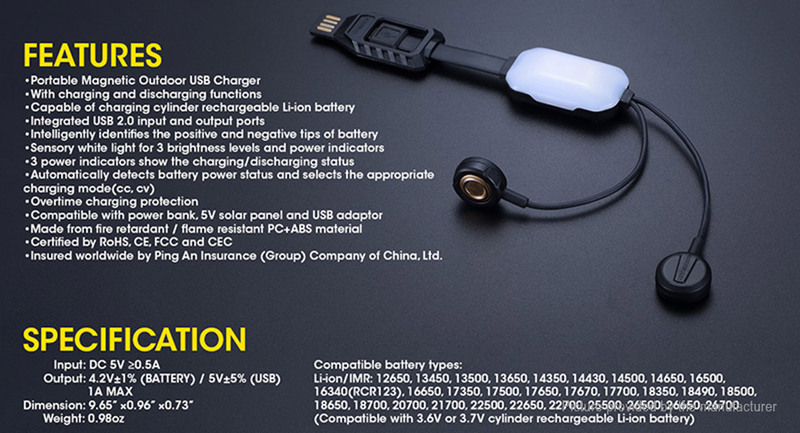 USB charger can be used to charge many common Li-ion and IMR battery types. Operates as a power bank when paired with a charged battery. 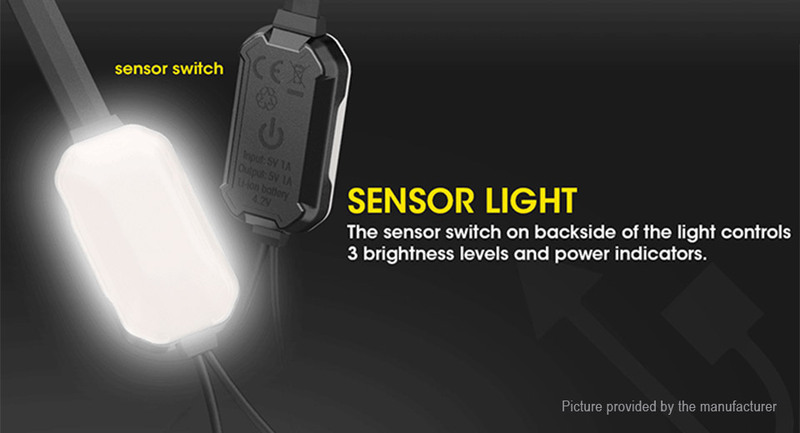 Mini backup light has three adjustable brightness levels. 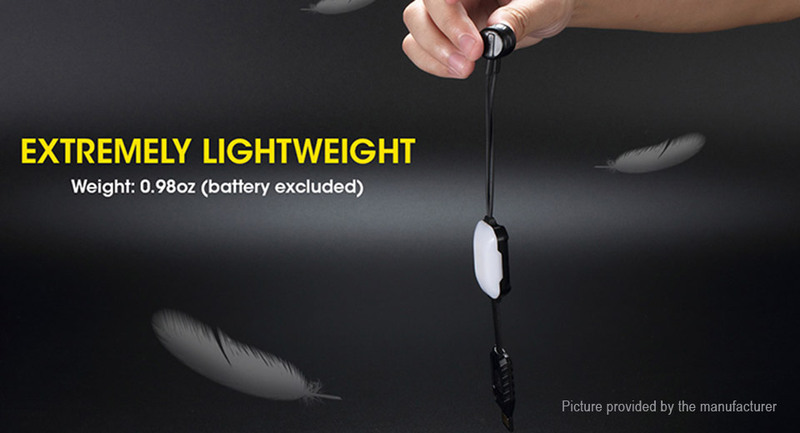 Equipped with an integrated USB 2.0 input and output port as well as a lightning adapter for Apple devices. 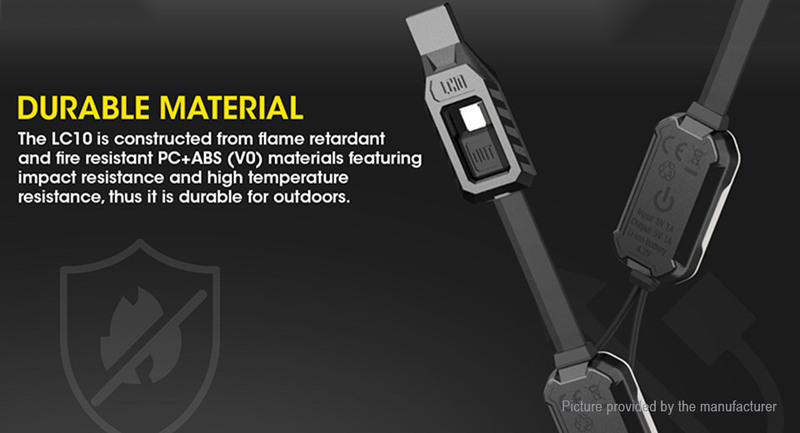 Features multiple safety protections, including automatic termination upon charging completion. 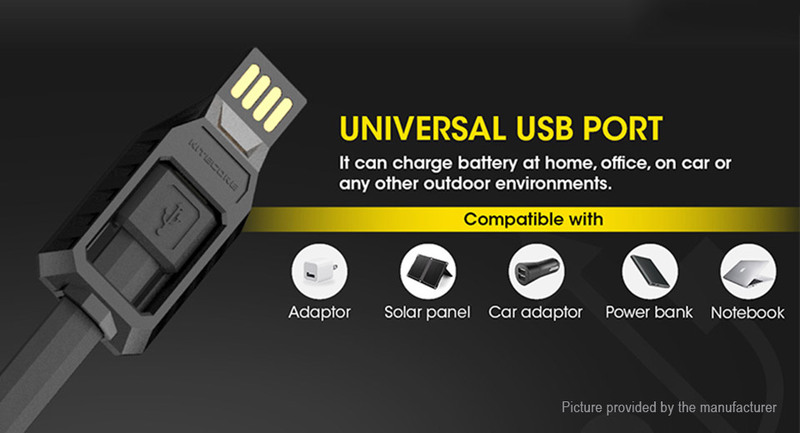 Compatible with power banks, 5V solar panels, and USB adapters. 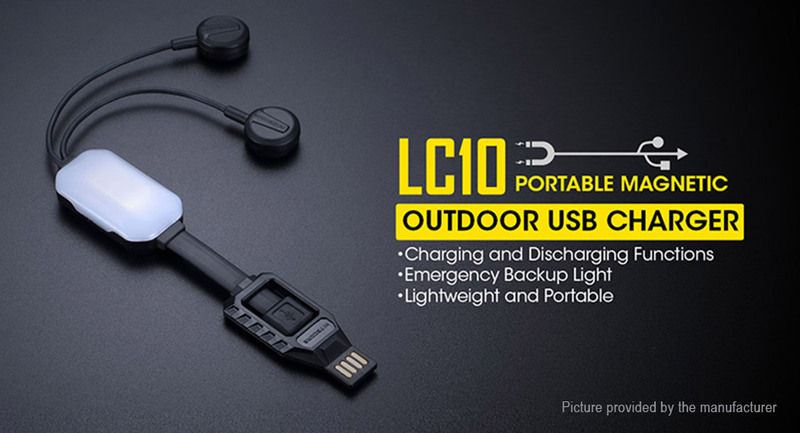 Take the NITECORE LC10 magnetic USB battery charger on your next trip and say goodbye to bulky charging solutions. 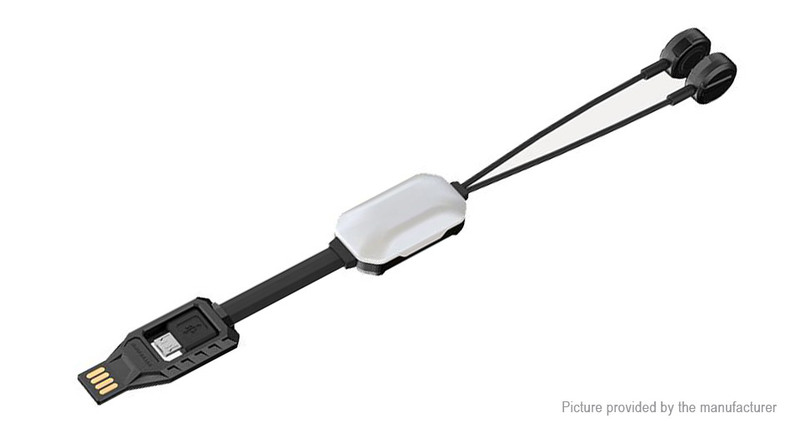 Compatible with many common Li-ion and IMR battery types, this minimalist charger uses two magnetic contacts to quickly charge your batteries via any USB power source. 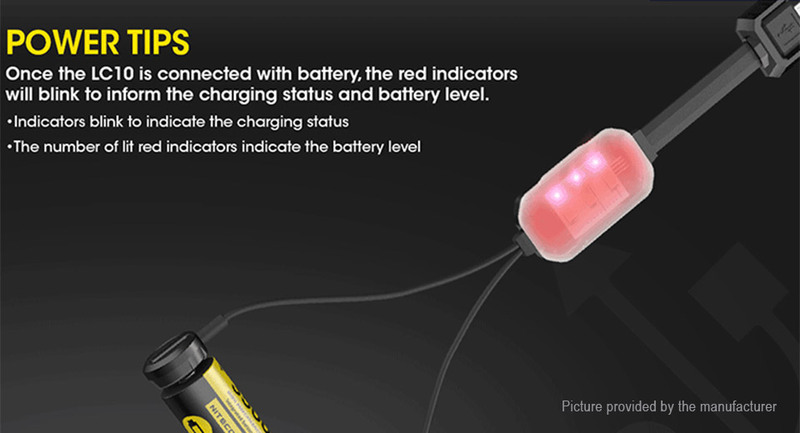 Charging progress is reported through a simple to read indicator light while internal safety protections prevent overcharging and short circuits. Need to charge something else? 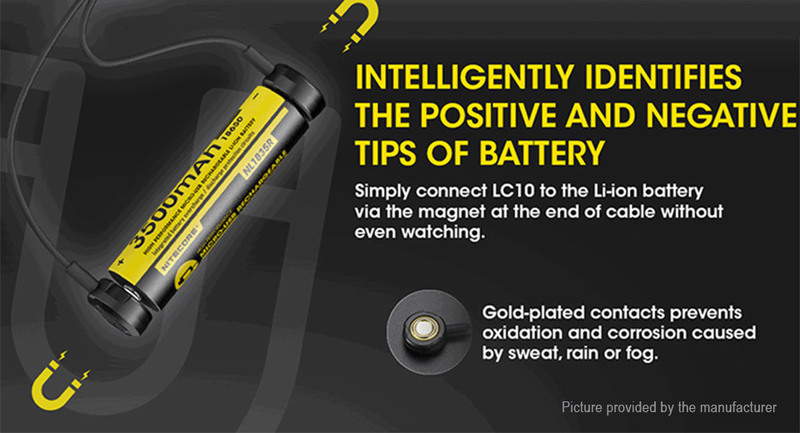 When paired with a charged battery, the LC10 can be used as a power bank. 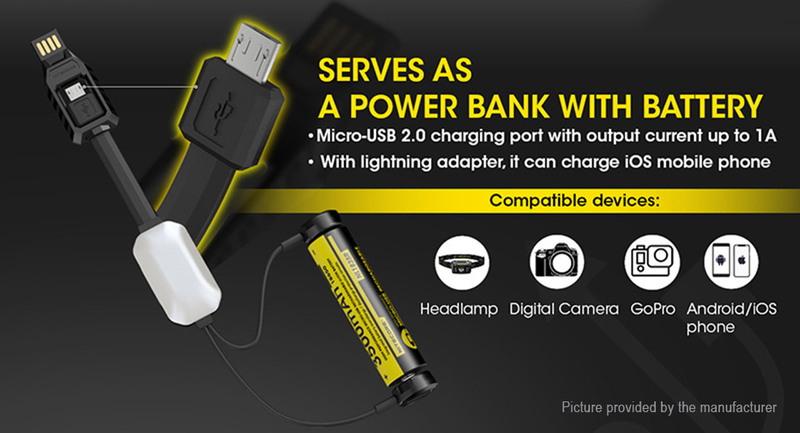 Use the standard micro-USB 2.0 output to charge your devices like cell phones, cameras and headlamps from a charged battery quickly and conveniently. 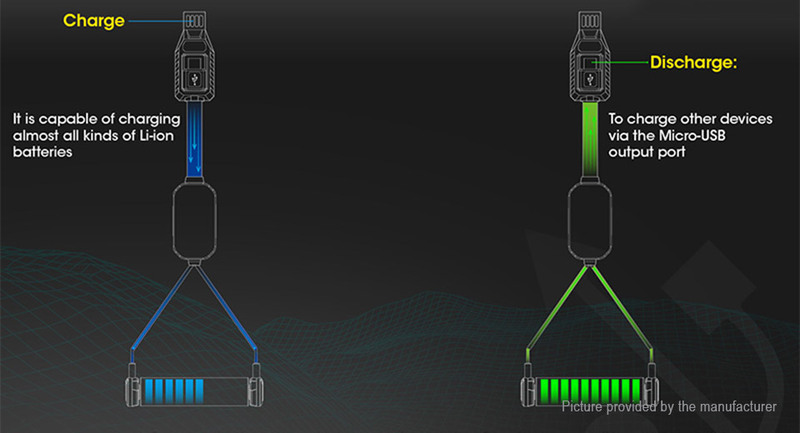 An included lightning adapter adds support for Apple devices! 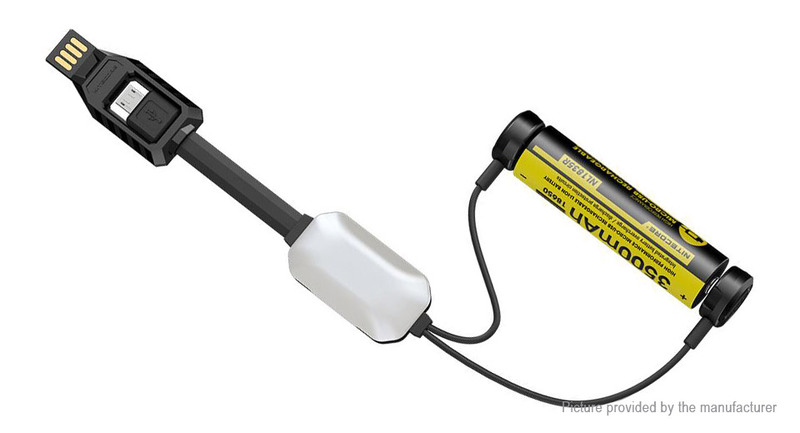 Adding even more functionality to the LC10 is a mini backup light you can use for reading, lighting up the tent or emergency situations. 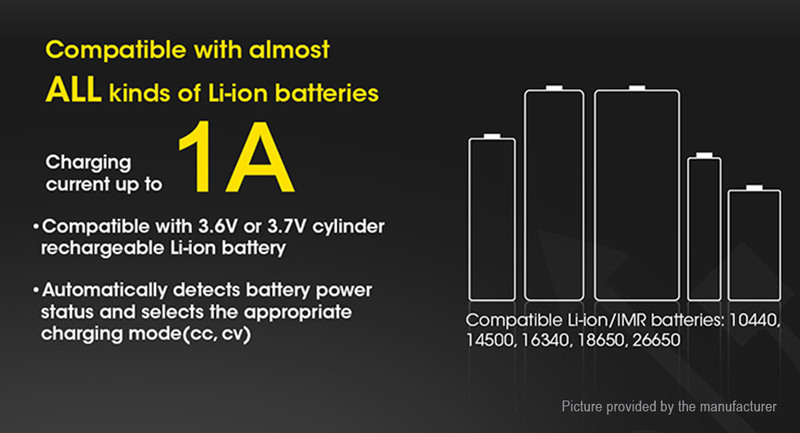 With three adjustable brightness levels, the LC10 emits up to 10 lumens when plugged into a wall outlet and 6 lumens when powered by a 3400mAh battery.